UPDATE: Dec 13, 2012 Want to watch the webinar? Here’s the video recording. 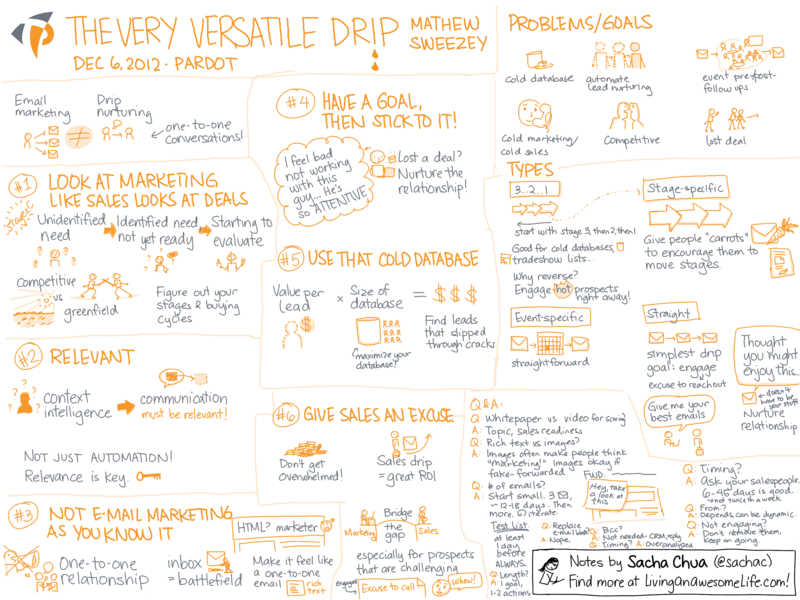 In this marketing webinar hosted by Pardot, Mathew Sweezey shared tips on setting up a drip nurturing program for marketing and sales support. Click on the image to view a larger size, and feel free to share this with attribution! Pardot has many other webinars and recordings, so check them out if you’re curious about marketing automation. Like this? Browse through my other sketchnotes, including my visual summary of The 5 Key Elements of a Better B2B Content Marketing Strategy by Nolin LeChasseur. 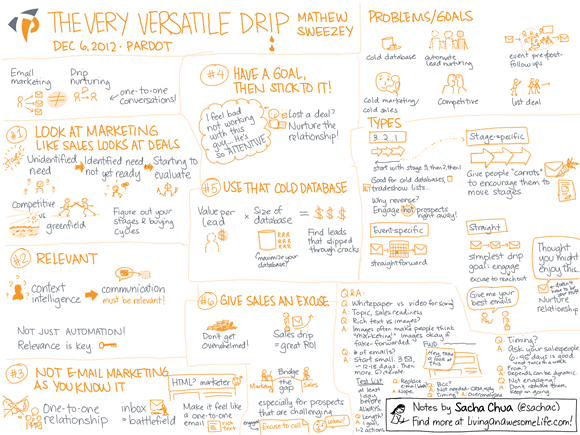 I sketchnote technology/business conferences and presentations – if that sounds interesting, get in touch!